The Clinic concept is perhaps the most unique facet of Rowan's engineering curriculum. Patterned loosely after the medical education model, the clinic is the place where students, faculty, theory and engineering applications converge. It's the place where students learn first-hand about engineering under the guidance of engineers. The clinics are a continuous and substantial part of the curriculum, totaling 20 hours varying from two to four hours every semester over the four years. Hands on - Have students use what they're learning about. Integrated - Demonstrate correlations with supporting course work. Multidisciplinary - Involve students as a community of problem solvers. Teamwork - Emphasize the advantage of effective teaming. Communication - Develop excellent oral and written communication skills. Entrepreneurial - Reinforce value-based engineering. Contextual - Help students understand the big picture. Clinics for first-year students focus on basic, introductory skills such as engineering measurements. In the second year, engineering students develop sound communication skills through working on a conceptual project. In the third and fourth years, students participate in team projects which feature actual joint ventures with industry partners. In 1992, a local industrialist Henry M. Rowan made a $100,000,000 donation to the then Glassboro State College in order to establish a high-quality engineering school in southern New Jersey. This gift has enabled the university to create an innovative and forward-looking engineering program. Since 1996, the exceptional capabilities of each incoming class of approximately 350 engineering students at Rowan (avg. SAT score of 1300) have repeatedly verified the need for a quality undergraduate engineering school in the quickly growing region of southern New Jersey. The Henry M. Rowan College of Engineering is comprised of five departments: Biomedical; Chemical; Civil and Environmental; Electrical and Computer; and Mechanical. Each department has been designed to serve 50 to 75 students per year. The size of the College has been optimized such that it is large enough to provide specialization in separate and credible departments, yet small enough to permit a truly multidisciplinary curriculum in which laboratory/design courses are offered simultaneously to all engineering students in all five disciplines. Indeed, the hallmark of the engineering program at Rowan University is the multidisciplinary, project-oriented Engineering Clinic sequence. The Engineering Clinics are taken each semester by every engineering student at Rowan University. 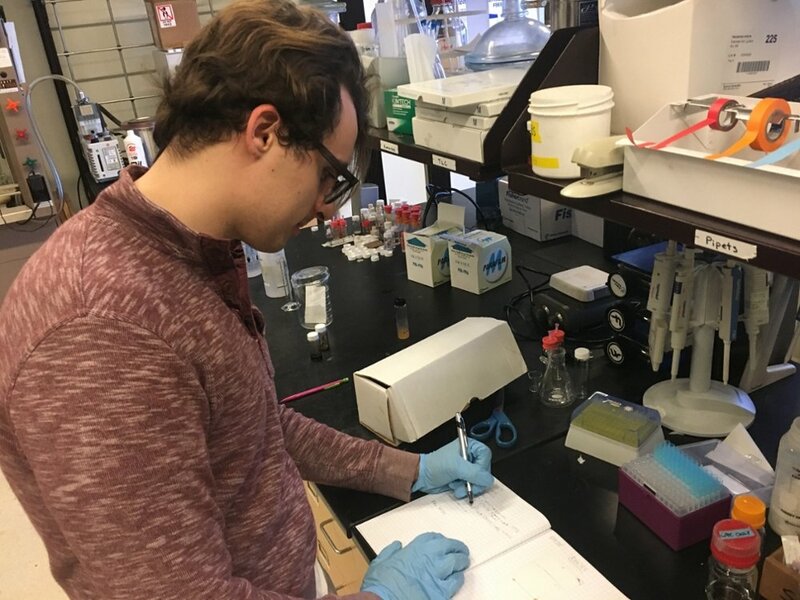 In the Engineering Clinic students and faculty from all four engineering departments work side-by-side on laboratory experiments, real world design projects and research. The solutions of these problems require not only proficiency in the technical principles, but, as importantly, require a mastery of written and oral communication skills and the ability to work as part of a multidisciplinary team. Table 1 contains an overview of course content in the 8-semester engineering clinic sequence. As shown in the table, each clinic course has a specific theme although the underlying concept of engineering design pervades throughout. Table 1. Overview of course content in the 8-semester Engineering Clinic sequence.